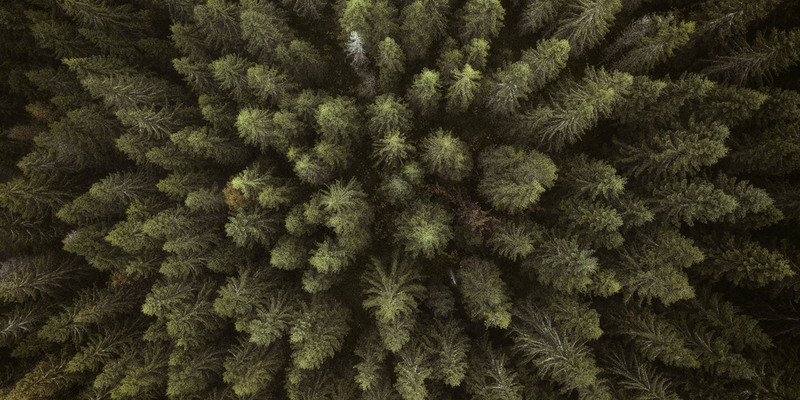 Successful drone photography trip to the forest. 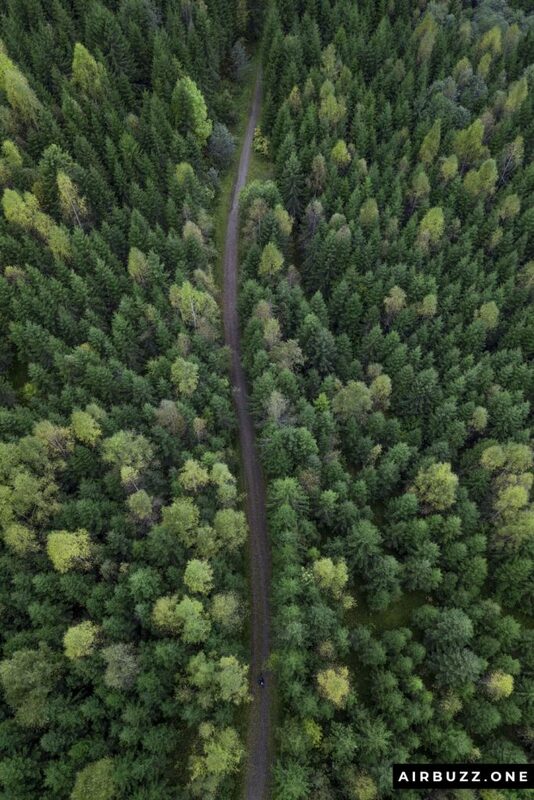 I charged my drone, emptied my memory card, filled my water bottle and took a bicycle ride to the huge forest north of the capital – Bærumsmarka. The ride took me from Fossum, past Østernvann, past Åbortjernet, and to Triungsvann. 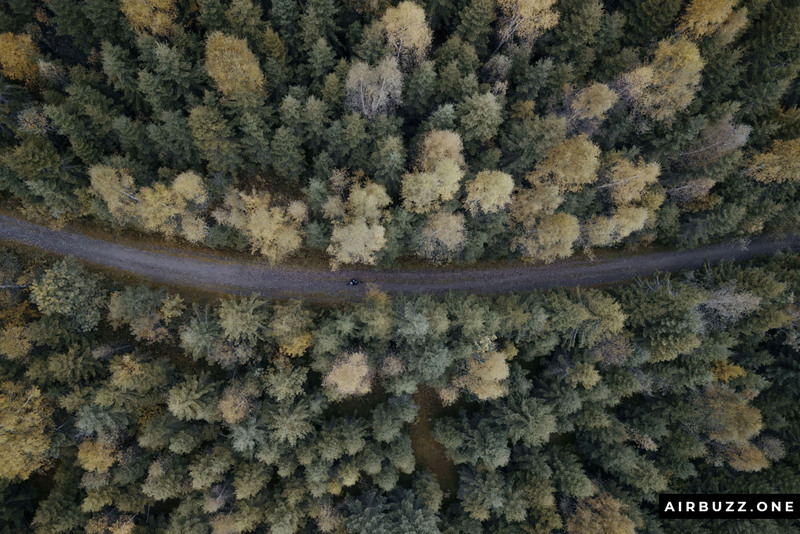 On the way, I stopped at several locations and launched up my Mavic Pro. I experienced some close calls during the trip. 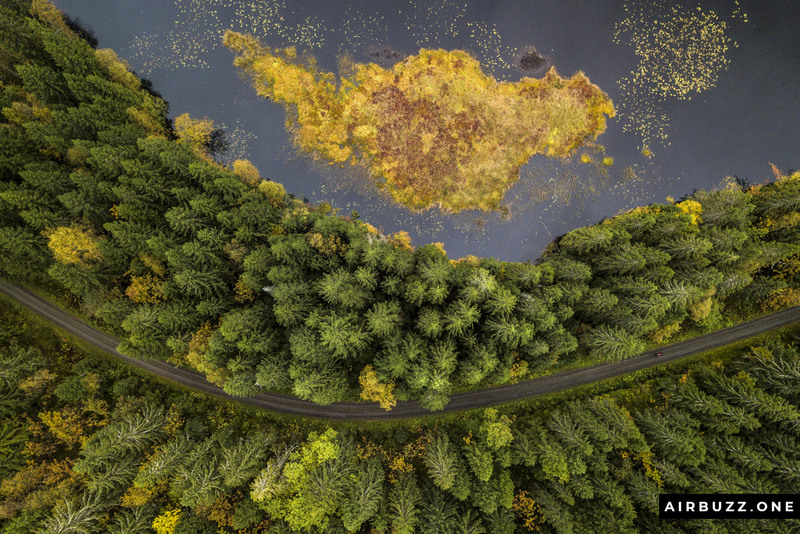 On a narrow road, almost a path, branched from the main road in the dense forest I had my flying camera high above me taking pictures. A few bicyclists and a runner hurried past me without looking. Suddenly a woman stopped just a few meters behind me and stood there for a while. I told her it was safe to pass, in case she was afraid of the drone. She told me she was waiting for a bunch of youths running a race through the woods. Wow… I thought I was alone in this remote location! 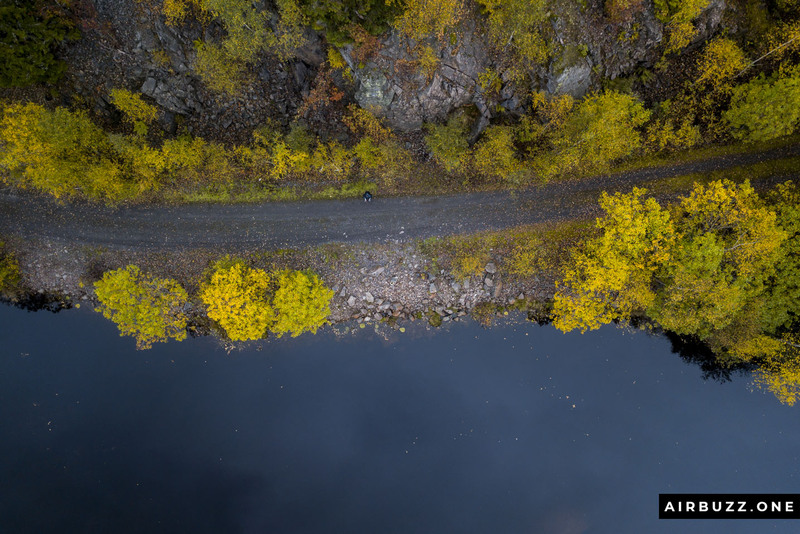 I realized I yet hadn’t thought myself to land the drone in my hand so I had to land the drone back on the road… before the runners came by. I quickly pulled the left joystick down and I managed to land and pack my backpack just in time to see the lead runner around the corner. I have to learn how to launch and land the drone from my hands! Article idea: 4 Recommended DJI Drone Joystick Protectors and 1 to Avoid! I took another detour from the road and found a concrete door in a small hill. It was an ammunition bunker. I remembered this place from when I was little and I stopped by to see if it was still there. I thought I would find an abandoned place, but instead, I found a live site with camera surveillance. I have no idea what was inside, and I didn’t go very close to the door. Very remote… very strange. Triungsvann is a nature reserve. It is an absolutely beautiful and pristine area with wilderness. I stepped off my bike and walked into the forest, just to get closer to the beautiful water. A thin layer of fog hovered just above the surface. Since the area is a nature reserve it means that it is illegal to fly drones here. It can disturb wildlife. I respected that of course and didn’t launch the drone inside the borders of the reserve. I took a few pictures above a curved horseshoe road which was just on the outside of the border. 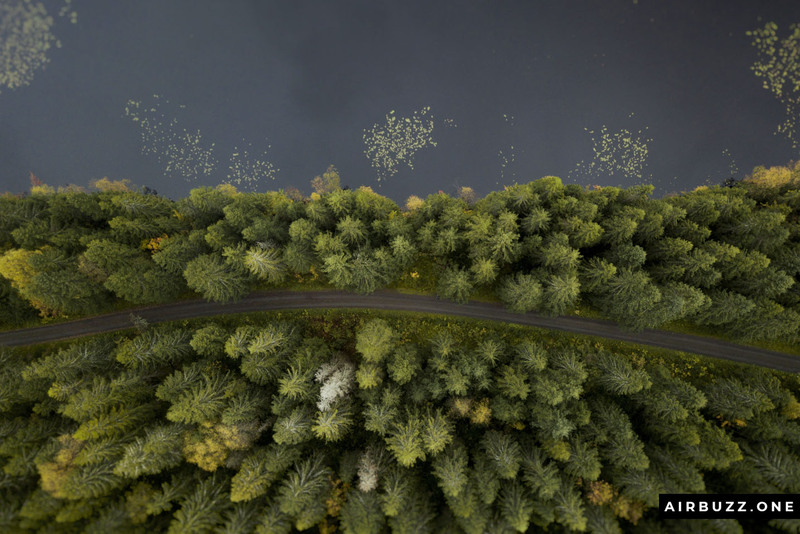 On my way back I stopped at Åbortjern and flew a bit over the treetops taking straight down shots. A passing bicyclist asked me if I was ok. Maybe I looked a bit strange standing in the road looking down at the controller the helmet on my head and my bike on the ground. I also managed to hit a branch while launching the drone the second time…. 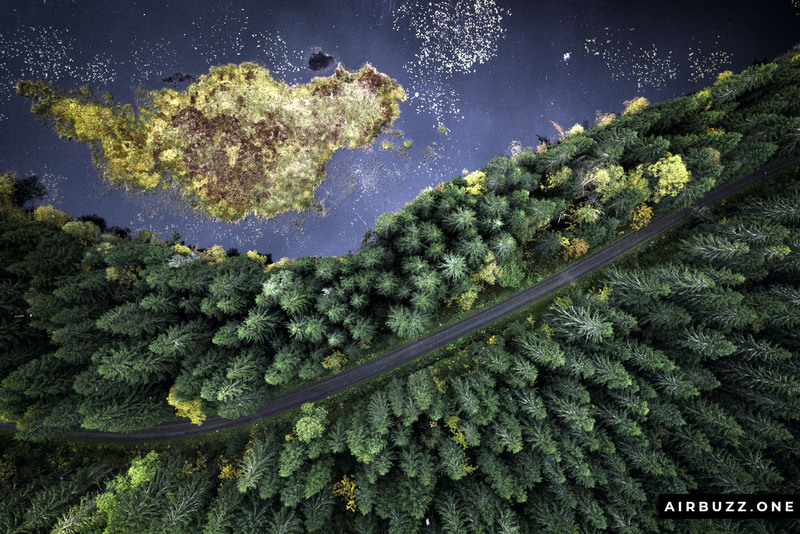 ALWAYS check what’s above the drone when taking off in the dense forest. 😉 Nobody saw that… puh. Time to go home. Awesome autumn colors on the trees. I’m standing on the road next to the water. Water and trees. The surface almost looks like the sky. 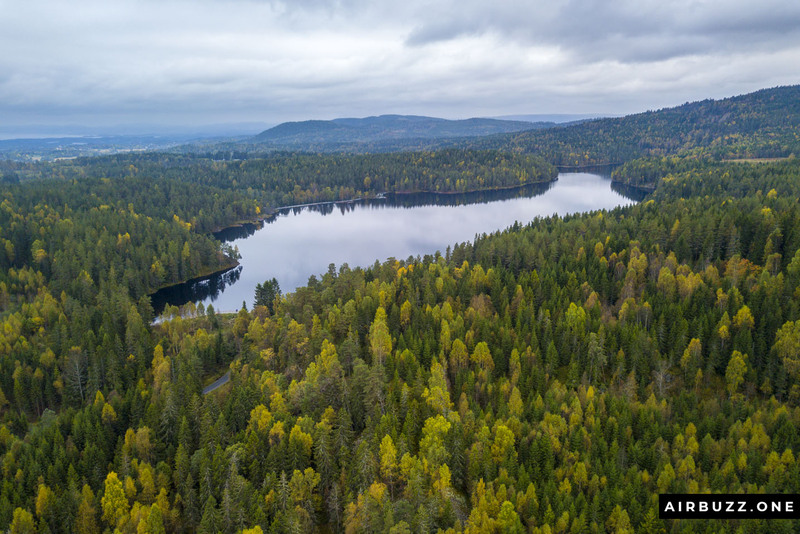 Triungsvann Nature Reserve – outside the borders of course. I have to take more of these treetop pictures. The height is crucial to get the right perspective. 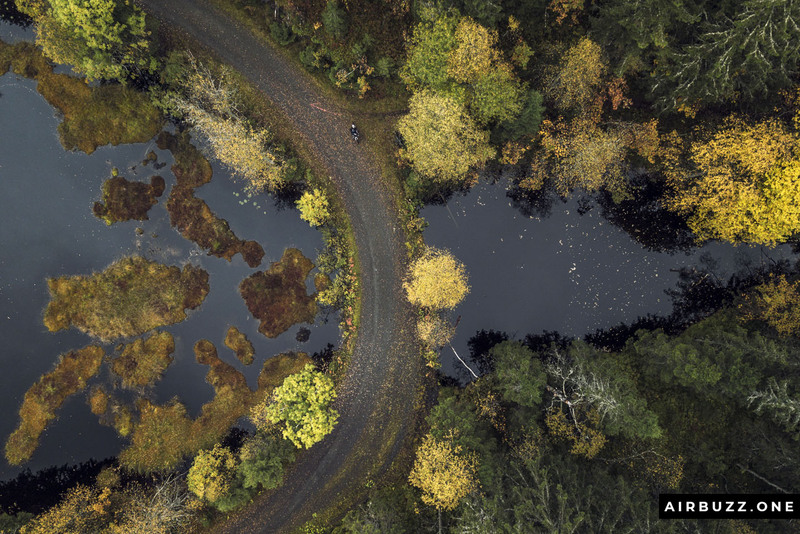 Great pictures and great use of a drone. Are you a professional photographer or do you use high definition cameras to get those sharp images. 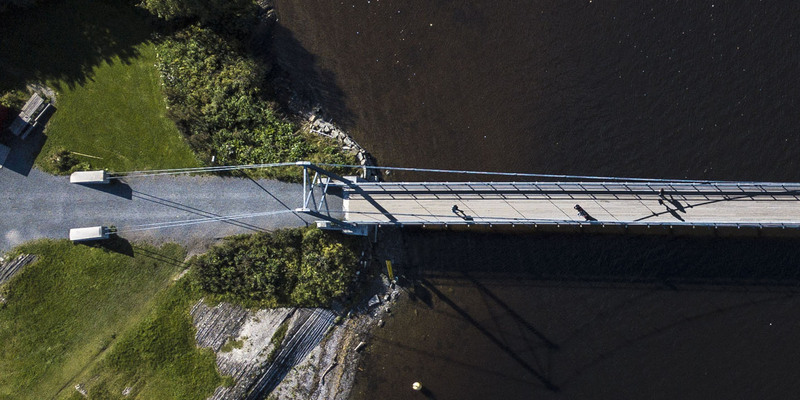 I would love to find out more about how this is done or who to contact to get some great aerial photos and videos. Hi Rick! Thanks. I’m not a professional photographer, but it has become a hobby for many years. It’s the camera drone I have that manage to take these high resolution pictures. 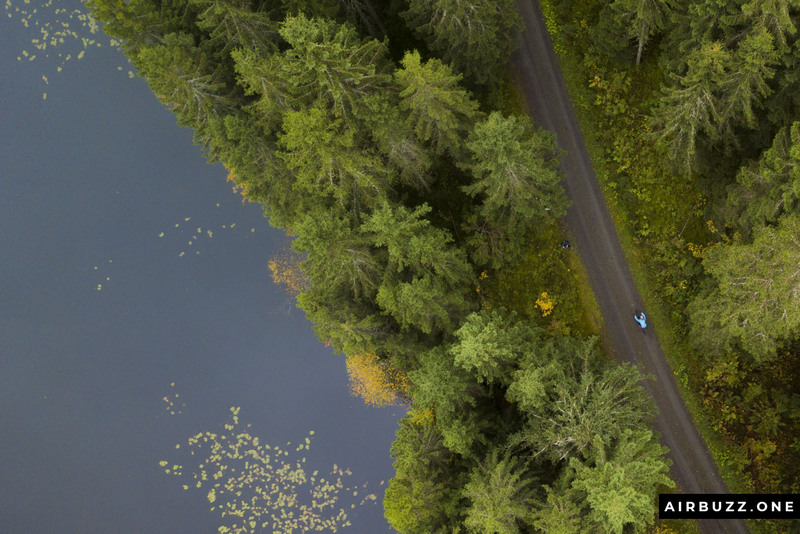 The quality is quite amazing when you think about how small the drone is. 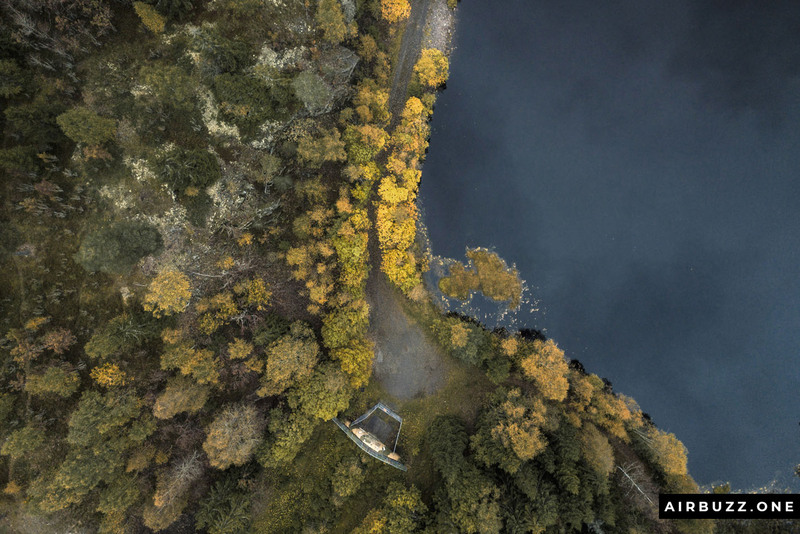 Read more about which drone I use on my Gear page. This was absolutely gorgeous. Loved your pictures. opened my eyes to the beauty of using a drone when taking photographs. So very different. 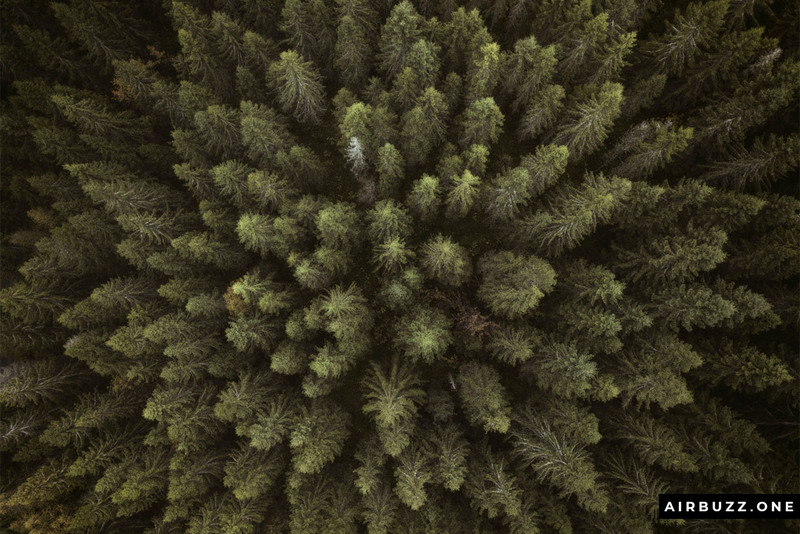 Wow, such a magical collection of pictures taken by drone. Superb and mind blowing I must say. Thank you for sharing these amazing views with us. Wow, these pictures are awesome. They look surreal, I guess looking down from that height can give you that effect. Awesome article. The pictures were indeed as what you have mentioned, mesmerizing. I couldn’t stop looking at them and feeling how small we are in this beautiful world. 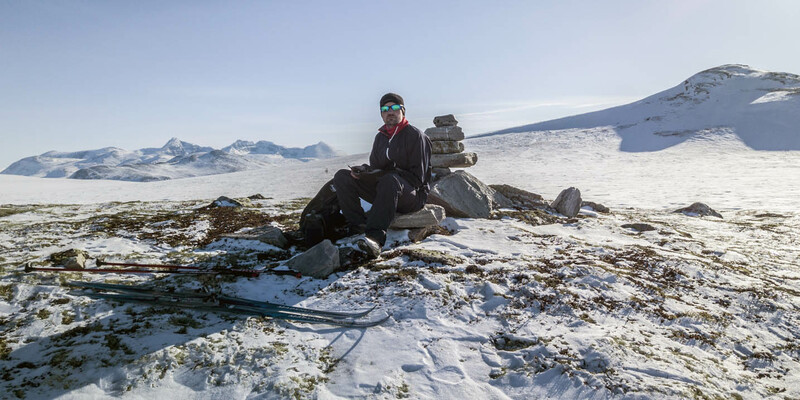 There is so much to be discovered and your pictures says it all! I wished I own a drone after looking at your pictures. It makes taking pictures and viewing things in a whole new angle. Thanks for the comment Kenny!